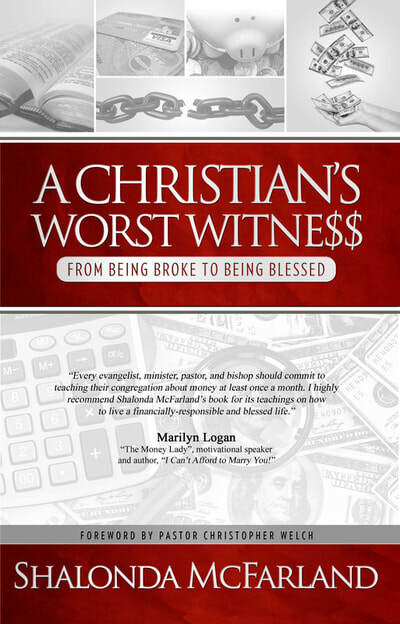 Instead of starting off writing books, Shalonda McFarland started writing a newsletter titled PurseString.com, focused on financial matters, then eventually traded in the newsletter for her debut book, A Christian's Worst Witness...from being broke to being blessed. Shalonda's vast life experience has equipped her to be a wiser steward. From her unique perspective of formerly working for one of the three major credit bureaus, serving on leadership boards in Corporate America and within the Church, to being a wife and mother of five, her book, A Christian's Worst Witness, will bless you with her experience, research, and study. 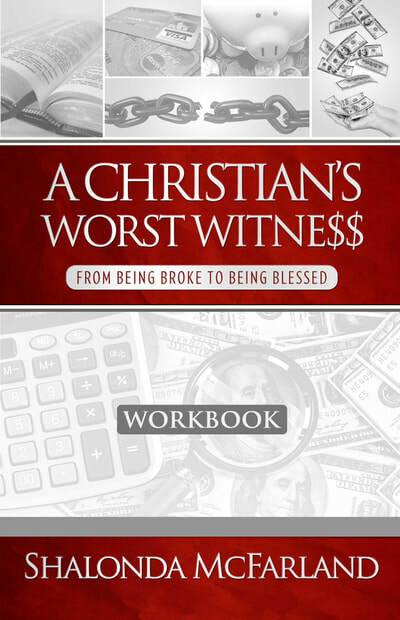 Shalonda's book will help you manage money God's way by delivering a biblically-based and practical message. Passionate about God's people handling their money God's way, she followed up the book with a workbook, and WORST WITNESS ministry was born. Fueled by Shalonda's love of reading, she started getting ideas for fiction books that she would like to write, with the focus on clean, Christian novels. Her first, The Win is about a church lottery pool. It has been well received, in a very competitive genre, and is consistently ranked high on Amazon's Best Seller Ranking. 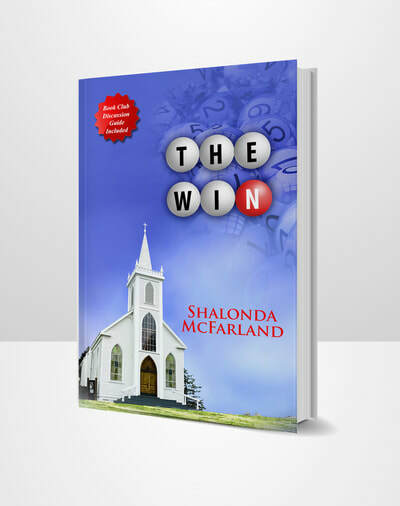 Shalonda is currently working on the sequel, The Win 2: The Aftermath. "Very good book to read, couldn't put it down." 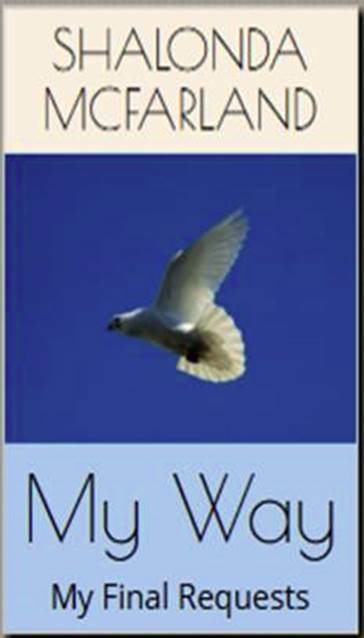 Kathy W.
"Enjoyed reading this book very much. Just wanted it to be longer! Looking forward to more books by Shalonda." Phyllis M.
"Can't wait to read another of Ms. McFarland's books." Olivia S.
"This book was a good read...Looking forward to other books by Shalonda McFarland." L.B.